Rigid part with lattice interior printed using Carbon’s technology. Image courtesy of Carbon. When the early crops of commercial 3D printers appeared, they were positioned mainly as prototyping hardware, for creating small numbers of physical mockups and one-of-a-kind models. As such, their output was limited by design, and their environmental impact was negligible. But over time, the technology evolved and improved in speed and quality. 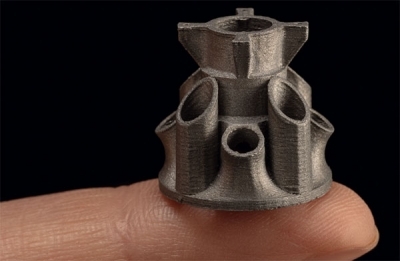 Today, leading automotive, aerospace and consumer goods makers are looking at 3D printing not as a prototyping method but as a means for mass production, in some cases to replace traditional metal-based machining operations. In fact, the term additive manufacturing (AM) has now become just as widely accepted as 3D printing, reflecting the shift in application. 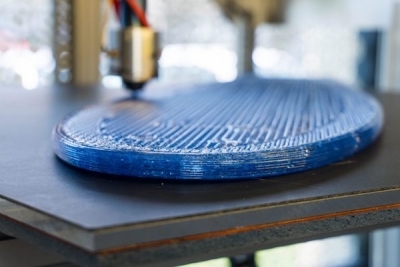 Can 3D-Printed Parts be Recycled? The argument in favor of 3D-printed parts over traditional metal-based parts often goes like this: With 3D printing, you can create parts with complex geometry, porous interiors, lattice structures and membrane structures; therefore, you can create lighter parts with less material, resulting in waste reduction. In 2014, a Department of Energy Solar Decathlon competition at the University of California, Irvine (UCI), focused on the design and construction of a solar-powered house. Undergraduates Will Amos and Aldrin Lupisan, UCI environmental engineering students, had been put in charge of the project’s “Tool Room of the Future,” which featured a 3D printer. “We postulated that each family would be able to recycle their plastic waste into filament for 3D printing so they wouldn’t have to buy virgin materials,” Amos explains. 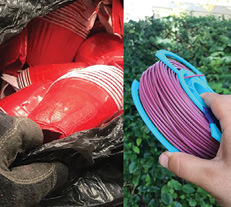 Closed Loop Plastics is recycling various post-consumer plastics into high-quality filament for 3D printing. Image courtesy of Closed Loop Plastics. 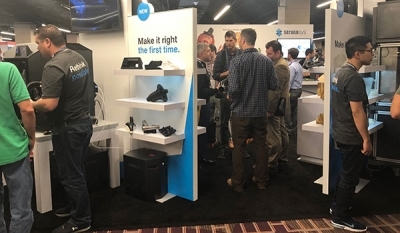 Sourcing the printer’s materials led to an aha moment: What about taking post-consumer plastic waste and turning it into high-quality, engineering-grade materials for 3D printing and other advanced manufacturing processes? CLP currently operates a Prusa i3 MK3, Ultimaker 2+, Ultimaker 3, Rostock Max v3 and Lulzbot TAZ to help it evaluate different plastic blends, printing parameters and final properties. An improved industrial granulator system lets the team input scrap material in almost any form. They are in search of funding to increase their production capacity from kilograms per month to tons per month and have been expanding the business through projects with end user partners such as Sustainable Surf (sustainablesurf.org). Several months ago, CLP put out a call on social media for individuals to test its PS filament (now verified as true high-impact polystyrene [HIPS]), offering a free 0.25 kg spool in return for survey feedback. DE informally put Party Pink to the test. 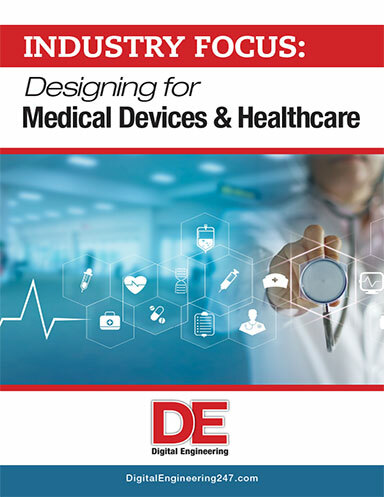 But this is a simplistic view that overlooks how materials for 3D printing are obtained and what their long-term effects will be when they become part of hundreds of thousands of everyday items, from electronics, wearables, home decor and furniture to automotive and aerospace parts. With the two common 3D printing methods—fused filament modeling (FFM) and selective laser sintering (SLS)—nylon, acrylonitrile butadiene styrene (ABS), thermoplastic polyurethane and other thermoplastics serve as the basis for parts. Technically, parts created with such materials can be melted for recycle and reuse. “Only a handful of plastics are recycled via traditional municipal waste streams, so even if a part is recyclable, it does not guarantee that it will be recycled. 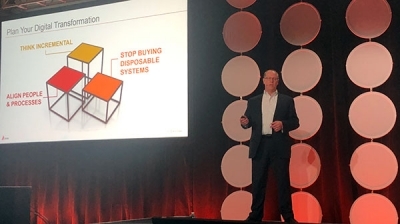 Consideration needs to be given to the entire workflow of recycling, including collection, sorting and processing,” says Jason Rolland, vice president of Materials at Carbon. “[Carbon] has recently developed novel reversible thermoset materials that provide opportunities for melt-processing parts into new forms or even to recover starting material,” Rolland says. “We are working with several partners to scale this approach towards more sustainable closed-loop systems.” Carbon is pioneering a proprietary technology called Digital Light Synthesis (DLS). 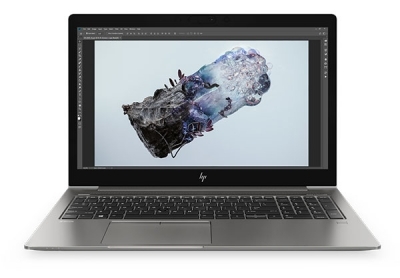 HP isn’t the only company to focus on removing mass from products. “The auto industry has proven over the past several decades that metal parts can be replaced with lightweight, durable and cost-effective polymeric parts,” Rolland points out. Traditional metal parts and 3D-printed plastic parts are intended for different applications; therefore, comparing a 3D-printed plastic part to a machined metal part is not appropriate. Comparing 3D-printed plastic parts and traditional injection-molded plastic parts may be more appropriate. “In the case of Carbon’s resins, our materials are already used in hundreds of production applications where they are either replacing a traditional injection-molded material, or they are enabling new parts not possible through traditional manufacturing (often via dematerialization). As we advance our materials, we see a great complement between performance and sustainability. For example, materials that can be melt-processed after use will have properties similar to tough, ductile thermoplastics rather than brittle thermosets,” explains Rolland. With the emergence of more affordable metal-based 3D printing, 3D-printed parts are less restricted to plastics-derived materials. Consequently, the AM sustainability question should be revisited as metal-based 3D printing becomes more widespread. The footwear maker Adidas is now collaborating with Parley for the Oceans, a coalition of artists, activists and researchers working to protect the ocean’s fragile ecosystem. The first outcome was a line of Parley shoes, made from recycled marine plastic waste. Was the footwear merchant motivated by a genuine desire to contribute to the growing sustainable movement? Was the plan to generate goodwill for the brand for economic gains? Most likely a mixture of both, but such movements shape the strategies of technology suppliers. One of Adidas’ 3D printing suppliers happens to be Carbon. 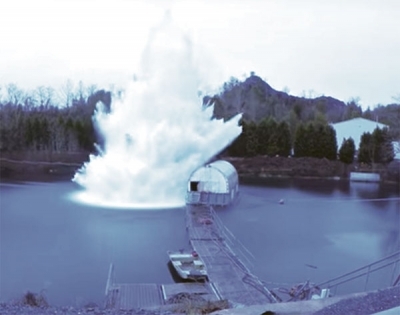 “Looking at the industry today, most of the technologically advanced companies who are often the quickest to adopt 3D printing are also the most outspoken in terms of preserving the environment,” Hurst says. In April 2017, HP announced its Open Materials platform initiative to attract third-party vendors to develop materials for HP printers. It comes in the form of a 3D printing material development kit, to simplify testing and certification. 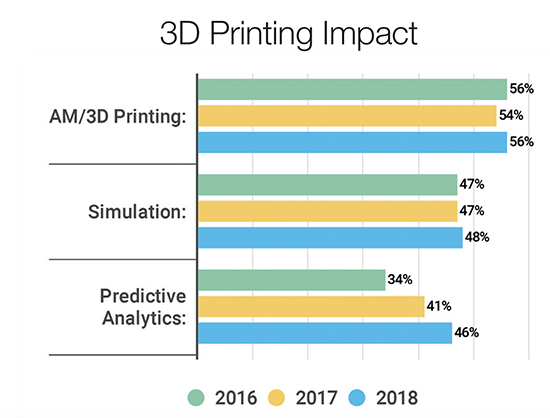 When asked which technologies will have the biggest impact on product design and development over the next five years, 3D printing beat out other technologies three years running. 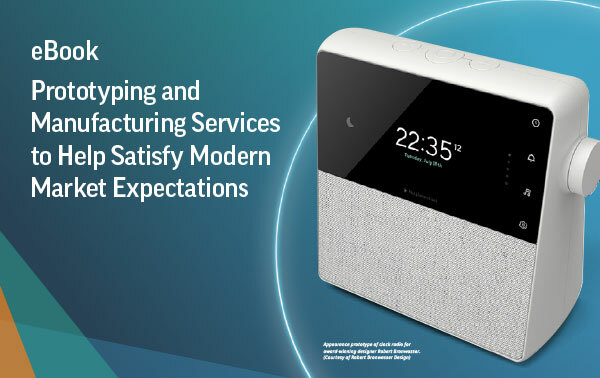 Source: DE’s Technology Outlook survey. As promising as the current initiatives are, more advocacy and coordinated education by industry leaders may be necessary, as businesses’ immediate economic concerns may trump long-term sustainable needs. “Recycling and reuse in the AM industry is certainly of interest among some, but it is largely ignored by most, unfortunately. I suppose companies feel they have bigger fish to fry,” remarks Terry Wohlers, president and principal consultant at Wohlers Associates.